This one of the most famous comic strip, and almost everyone has heard of it. Even if people do not know the name, they know the main character of the book, Snoopy, the beagle. Peanuts, is written by Charles Schulz, a brilliant, yet insecure artist. He used children to bring out different themes in life like, faith, intolerance, despair, etc. 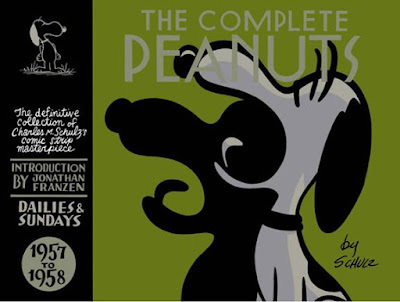 Some of his characters are Lucy, Charlie Brown, Pigpen, Sally, Snoopy, Schroeder, Linus, Marcie, Peppermint Patty, Violet, etc. All of them display these themes with a subtle sense of humour. Charlie Brown is shown as the victim, and it shows how everyone particularly insults him. It shows the bonding between Snoopy and Charlie Brown (the Charlie never goes without the Brown, so I must write the whole name), a very unusual one. It is more like Charlie Brown, is the beagle who wants comforting, and Snoopy the child who takes care of the dog! I have read many of the comic strips, and cannot stop laughing after finishing them. These are my personal favourite along with two other comic strips. 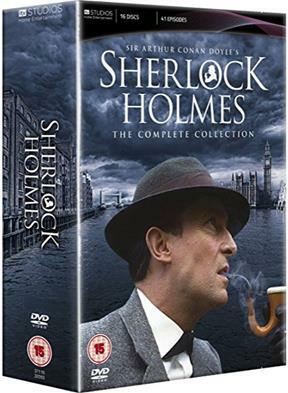 “Elementary, my dear Watson!” Is the first phrase that comes to our head when we think about Sherlock Holmes. This detective is famous throughout the whole world. This book was written by Sir Arthur Conan Doyle, and has the main character as an extremely, clever detective, and I mean it. He was really, really clever, and most of all had very strong observation skills. He could tell a lot of things about you by looking at the manner you talk, the way you make eye contact, your posture, your subtlest movements, etc. His partner is a doctor called John Watson, but mostly mentioned as simply Watson. It is series of short stories, and was very famous earlier, and is still famous now. Sir Arthur Conan Doyle wrote many stories with Sherlock Holmes, but got bored f him one day, so in one of his stories called ‘The Final Problem’, he kills Sherlock Holmes off. He tries writing other articles, but people were clamouring for more, so he brought Sherlock Holmes back to life in an adjoining story called ‘The Empty House’. These series of books have been made into movies, and also a T.V serial. There have been many adaptations made of it. I have read one or two of the stories, and have seen two to three episodes of the serial and three of the movies made on the books. I have thoroughly enjoyed the books, as well as the movies. I am surprised of the ingenious of the author, the mind-boggling mysteries he puts across, and the solutions he gives. None of it seems too fancy, but they are real mysteries, ones that the human mind finds very difficult to solve. In the July newsletter we had mentioned that we would be adding more content in the All Work No Play section. So here it is. One part of the content is by my sister and the remaining is done by me. Every year the classes above fourth should pay ₹1500 and they get a kit named Thinklabs. 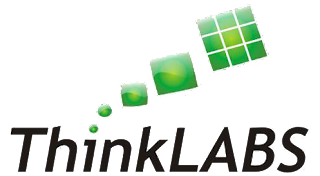 Thinklabs have activities based on your current chapter in Science. It shows the practical way of the topic. Since I am in fifth, I too got a Thinklab kit. This Thinklab was based on our third chapter, Safety and First Aid. In the kit, we had two packets of germ cream, a packet of wipes, an ultraviolet ray plus pen and a reflection sheet. We had to apply the germ cream on our hands and then using the ultraviolet ray plus pen [UV ray] we had to find the germs that would have been transferred to our hands by the cream. To find the germs we had to look for shiny and glittering spots on our hand using the UV ray. After doing this we had to wipe our hands on the wipes provided and then fill the reflection sheet which had questions based on the activity. The purpose of this activity was to find out where germs usually stay on our hands. Places like the back of our hand and the spaces between our fingers have lot of germs so we should wash them extra carefully. If we do this, germs don’t go inside your stomach when you eat food from your hands and make you sick. I enjoy doing Thinklabs because they teach you Science concepts in a practical and fun way. This is the second book in the series. 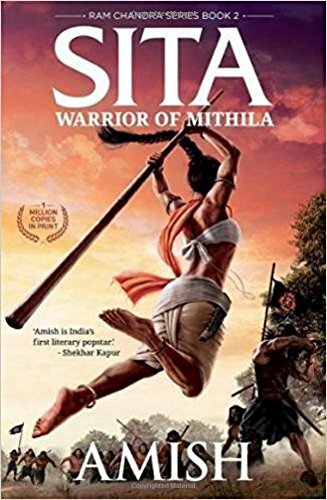 The first book was the “Scion of Ikshvaku”. It narrated all the incidents from Rama’s birth to Sit’s kidnaping. The scenario was all played from Ram’s side and the happenings in Ayodhya. The second book is “Sita – Warrior of Mithila”. The second book narrates all the incidents from Sita’s birth to her kidnapping. The scenario in this book is from Sita’s point of view and the happenings in Mithila. This book is a fictional retelling of the Ramayana so not all the things are the same. In the second book, there is an added war between Ravana and Mithila. The war is caused because Ravana is insulted at Sita’s swayamvara and wanted revenge. The book starts with Sita’s birth. It then comes to her mother, Sunaina’s death. This is also another fictional addition. The book was very interesting and full of suspense at the end. If you read the whole book you will find a very unexpected traitor at the end. I loved this book and it was very interesting. I found it better than the first one. This book is written by Amish. There is a total of four books in the series. The third one is not yet published. This series is written by PG. Woodhouse. 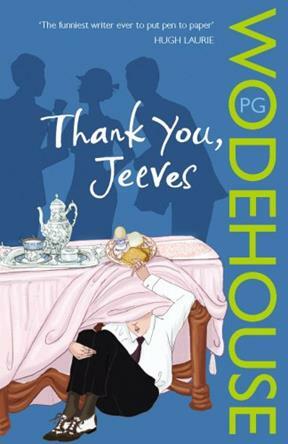 It is about a bumbling man named Bertie Wooster and his clever butler, Jeeves. Bertie is mostly getting into trouble when he tries to use his dim-witted brain though he thinks he is clever. Most of his aunts and friends think that Bertie is quite nice yet brainless and Jeeves is the clever and resourceful man. It’s like Bertie is only invited to places because of Jeeves and his clever brain. Bertie is only put up with because of Jeeves. Bertie is stung by this and tries to prove that he is clever by coming up with seemingly clever yet dim-witted ideas. This gets him into trouble and Jeeves yet again rescues his master from these situations and gets another round of praise from people. However, if people do follow his ideas they land in trouble and blame Bertie for it. The humour in the books make you laugh a lot yet it is not too much. The way P. Woodhouse describes Bertie is hilarious. The most hilarious parts are when Bertie describes Jeeves expressions. An example is that Jeeves always says “Indeed, Sir” whenever Bertie expresses any of his ideas. Bertie describes it that when Jeeves says this it sounds like “Says you, sir” to him. The book has quite a few sarcastic remarks from Bertie’s aunts. Especially Aunt Dahlia. There are many stories and they all are very comical. KM Munshi has written a retelling of Krishna's life in a series of seven books. The first starting with Krishna's birth and ending with Kansa' death. In the series, I have read the 1st, 2nd and 5th books. I am going to be giving a short review of the fifth book. 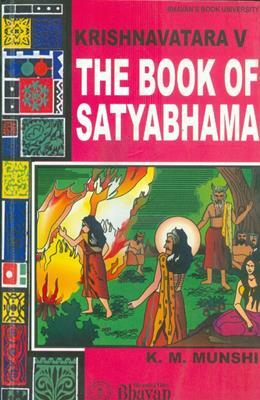 The fifth book is about the stealing of the Syamantaka gem and how the blame is put on Krishna by Satrajit. Satrajit's daughter, Satyabhama loves Krishna. She knows that Krishna is not responsible for it. Satyabhama also knows that her father's brother Prasena was somehow involved. She and Satyaki, a close friend of Krishna set out into the forest to find out the truth. Meanwhile, at her house everyone mistakenly thinks that Satyabhama and Satyaki eloped. Krishna is worried about Satyaki and he too sets out into the forest. He finds Satrajit's brother dead. He then finds Satyabhama and she tells him Satyaki is being held by some bear-people. They both find a cave which leads them to the home of the bear people. They find Satyaki but the bears are unwilling to let them go and give them back the Syamantaka. Krishna is now in a fix as the bear king wants Krishna to marry his daughter Jambavati. This book had a lot of different things that I have not read in other versions of Krishna's life. It is not mentioned that Satyaki is taken captive or that Satyabhama went into the forest with Satyaki to solve the mystery of the Syamantaka. Even with these differences the book was quite nice to read. Do you remember that in the June newsletter I had mentioned that there were three books in Lucy and Stephen Hawking's George series. Well I was mistaken there were two more. They were "George and the Unbreakable Code" and "George and the Blue Moon". 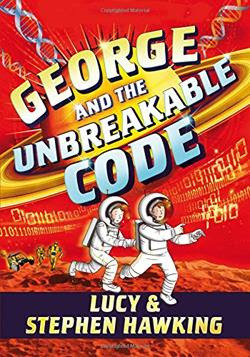 I have bought and read "George and the Unbreakable Code". I am going to be giving a short summary of the same. George and Annie were feel very bored and longed for another space adventure with Cosmos, the secret, amazing supercomputer. Little do they realize that they are going to get their wish sooner than they expected. This time they must travel into space for a serious reason. A strange thing has been happening in the world. ATM machines are spilling out money, Supermarkets are giving things for free, flights can’t charge for the tickets, etc. George and Annie realize that something has gone and all the computers look like they have been hacked into by an unknown person. The thing that troubles George and Annie most is that Cosmos also looks like he has been hacked into and is now behaving in a very unfriendly manner. The two children must travel into space to find out who has hacked into the computers. Aided by Eric’s look alike robot, Ebot, they try to find out the reason for all this trouble. On their quest George discovers Annie’s secret that she had been trying to hide from him. This book was till now the best in the George series. My favourite part was when Annie’s secret was revealed. It is so unimaginable because Annie is so cool, unconcerned and clever and the fact she has such a mind-blowing secret totally shocks the reader. I also love the parts where George’s twin sisters Juno and Hera come into the scene. They are so cute and funny. I loved this book. This book is written by Asha Nemiah. It is the first book of hers that I have read and this book and it totally rocked. I am going to be giving a brief review of this fantastic book. The mystery all started with the arrival of the silk umbrella. The silk umbrella sets Divya, Malli and Arjuna on such a mystery that they will never forget. Divya and Arjuna’s mother is a director. She rents the umbrella from Malli’s shop as in her film the umbrella was to play a key role. Little did she know the havoc it creates in her children’s life. This mysterious umbrella has a unique story of its own and it introduces them to a suspicious yet nice new friend named T. Satyavan. They also meet several new film crew that includes an athletic artiste named Chackie Jaan. The umbrella is stolen many times by a bumbling villain named Bambaram Jones and a murderous villain named Kharabi. 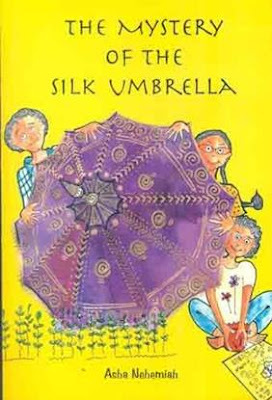 The children in their search for the umbrella race to every nook and cranny of Vellore and on their way several mysteries are found and solved. I loved this book because it was filled with mysteries. It had the mystery of Kharabi. The mystery of the umbrella and then the mystery of Satyavan. It was very nice and full of surprises. I also loved the way how everything was connected to each other and despite so many mysteries nothing sounded to abrupt. It all sounded like it had been a part of the story from the start. I liked the book a lot and found it very funny. This book is written by Walter Farley. It is the first book of his that I’ve read. It was quite nice and interesting to read. This book was given to me by my cousin. I was reluctant to read it at first but finally when I did read it I was wowed by it. I will tell you a bit about it and hope you like it. 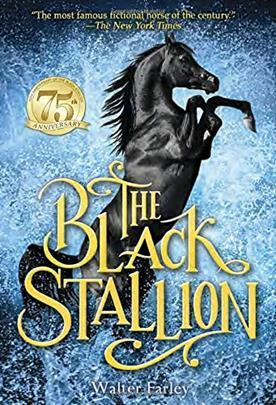 Alec Ramsey was the only survivor of a shipwreck along with a wild, beautiful black stallion. Alec is all alone on an island with the stallion or the Black as he called him. With nothing to do slowly and steady Alec gets the Black’s trust and soon tames him a bit. The Black trusts Alec enough to let the boy ride him and they both soon become the best of friends. They are finally rescued by a ship that passes by the island. After reaching home Alec’s parents allow him to keep the Black. With the help of Henry Dailey, Alec trains the Black and soon he is fast enough to beat the most famous horses of the day. Alec felt the Black would leave Cyclone and Sun Raider eating dust if challenged to a race. Now the problem was how would Alec convince people to let the Black enter a race and prove his strength. or animals even the wildest of them can be tamed and trained to do something extraordinary. It was a very nice book. It is a must read for anyone who is a fan of horses.